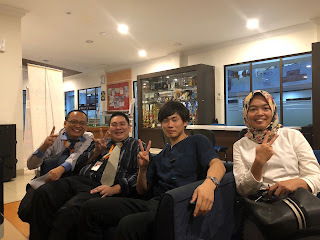 I (Kamimura, a participant in this program in 2017) visited UIB (University International of Batam) for two days during October 31 and November 1. KAIT started the oversea study program at UIB for KAIT students in ICT (Information and Computer Technology) special science course (honors program) from 2017. I joined this program in February, 2017, and exchanged the friendship with UIB students as well as improved communication skill in English. Presently, UIB is extending buildings and facilities, I thought that it would benefit KAIT students who study at UIB next year 2019 (February 15 to March 15, 2019). I would like to report my impression about some of new buildings and facilities that I saw on this visit. First, I would like to introduce a new library at 6thfloor of a lecture building that has a nice view to Singapore and is located at the opposite side from the entrance gate. In the library, students can use many books and materials for their study. 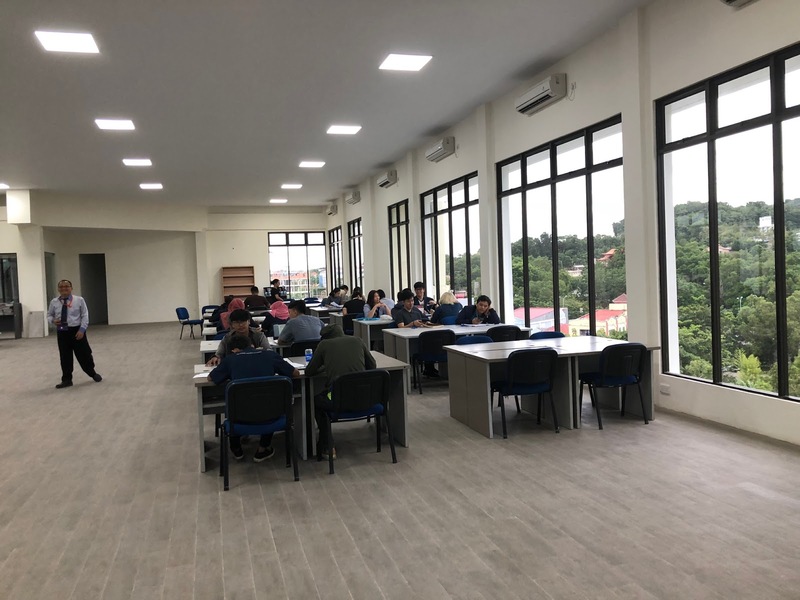 Open spaces, where PCs and wide desks are available, are designed for self-study, and a discussion room would be provided soon for the project meeting and so on. 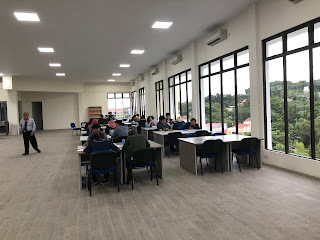 The library is open for foreigner students, and very useful for the self-study. 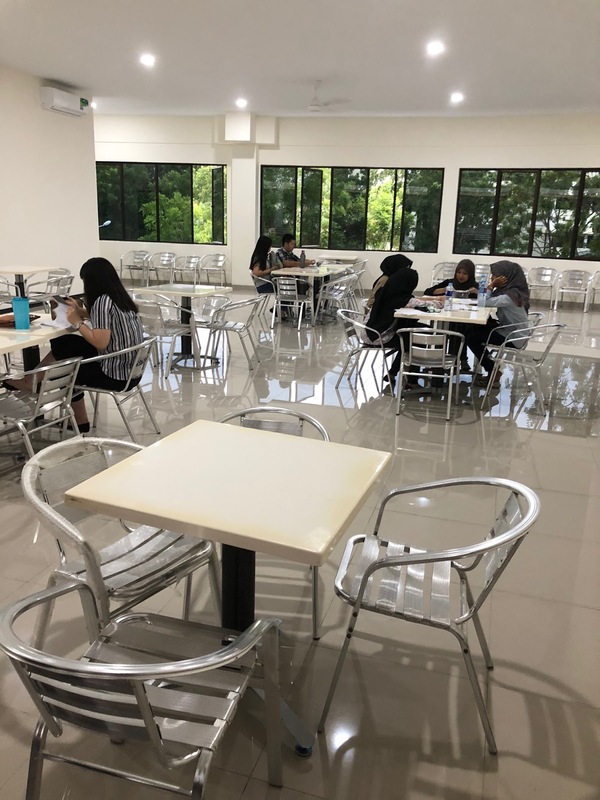 When I studied at UIB two years ago, I often used canteen and common space in a dorm. I would like to highly recommend the next KAIT students to use this quiet and comfortable new library. Next, I would like to introduce the nurse's office, which is newly open soon in the same building as the new library. When we studied at UIB, unfortunately, many of KAIT students had experiences in feeling sick. They went to hospital outside since there was not a nurse's office within the campus yet. It is a very nice news for KAIT students that the new nurse’s office will be open at UIB, and take care of health of students there. At last, I would like to talk about the future plan of stadium and dormitory. Presently, UIB is constructing new stadium (Fig. 3) within campus for football, track field, and so on, and new dormitory next to the stadium. UIB already has a basketball court, but many of UIB students would be happy to have the new stadium for enjoying sports. It would also benefit both UIB and KAIT students for exchanging the friendship thorough sports game. 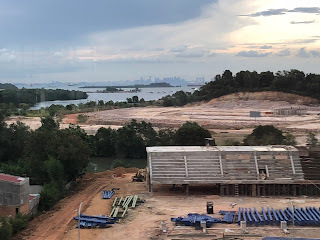 I heard that the stadium will be completed in two or three years, and the dormitory within one year. Although KAIT students might not use them next year, we are very excited about imagining what they look like when they are finished! I reported my impressions and opinions about new buildings and facilities at UIB for the next oversea study program (February 15 to March 15, 2019. As I introduced the above, UIB is trying to provide more places and opportunities for students to experience variety of activities, and all of them will really benefit foreign students like us as well as UIB students. UIB is continuously doing such great efforts for improving the student experience, and I believe that KAIT students can have many wonderful experiences through this oversea study program at UIB.